Hello all! Just got back from vending at this lovely festival, so here’s some highlights from my booth! So this was my first year with them, and their second year, and I’m very grateful to have been a part of it! It was such a gorgeous day and such a lovely event. I didn’t get to visit the rest of the festival, but from what I could tell we had great traffic for most of the day and there was just such good energy all around. I met some very kind and wonderful people, and there is indeed a good smattering of my art newly out in the world! This being only my second time vending, and my first time with that light display (and the beautiful willow leaf curtains in the back, also courtesy of my Wife, as is the beautiful knit gear that the Tock sign sits on) – I’m not exactly…..streamlined…..for setup. So I learned a lot about how much time to give myself and definitely have thoughts for things I will adjust for next year. 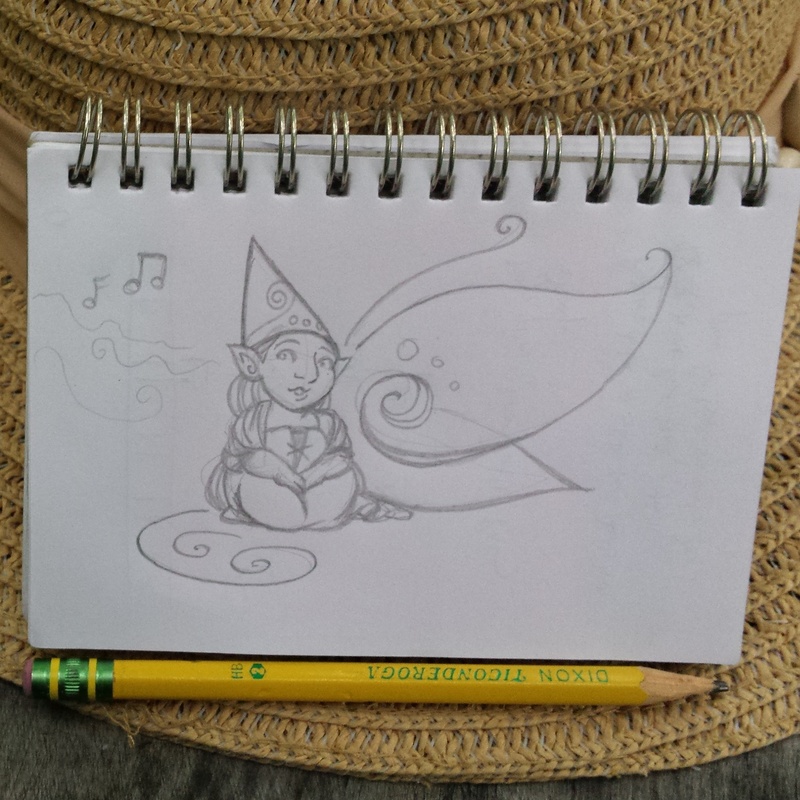 Copies of the “Tock the Gnome” print issue will be available for purchase on my Etsy shop later this week, as well as a digital download option, which will be free for Patrons on Patreon btw 😀 As for more general Faerie work, the JuneFae sketches did not sell, but I do plan on listing those on Etsy too. Better than them sitting in my sketchbook where no one can see them, right? The biggest seller, honestly, were my Gnome Wings – I’m down to 5 now! So there will very surely be more of them in process soon too! And as I mentioned on Patreon in my post this morning, work has resumed on the next Tock page! There’s still a lot of post-show work to do, inventory and shop updating and such, but I am relieved to get back to comic production. Fingers crossed for a new page finished and posted during this very Faerie month! And speaking of that – JuneFae catchup, and this week’s Sunday Gnomedays, will be up soon too – sometimes Professional Art Career Building is an awkward juggling act, and I am grateful for your patience. Commissions and other projects should be getting attention again by the end of the week, too. I hope you all enjoyed this look at the festival – here’s to Salem NY FF 2019! “Gnome and Fairy Fest” Interview! Remember that delightful little local festival I spent months frantically preparing for last September, leading up to festival day, October 1st? Well, somehow I missed this article, which I actually interviewed for that day, and then completely spaced out on! Take a look to see more about the festival in general, and my words about the importance of Faerie work! Thanks once more to Kristina at Amuse Modern Cottage Industry and Press Bay Alley in general for putting on the festival and inviting me to be a part of it. And thanks to Ithaca Week for featuring me in this article!